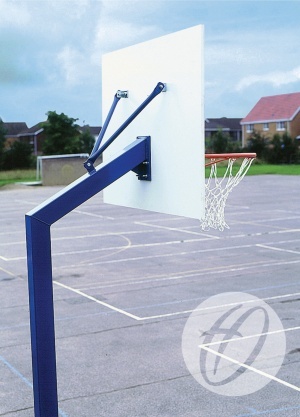 Mini Basketball is a game for 8-12 year old children with a regulation size ring at a height of 2.6m from the ground, and is played with a smaller ball. Permanent goal designed to be concreted 914mm directly into ground. Made from 100mm square heavy duty steel. 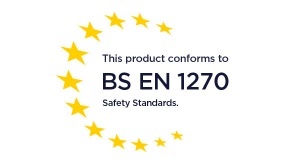 Regulation BB4 ring is bolted directly through to the steel arm for added strength. Polyester powder coated blue with orange rings.